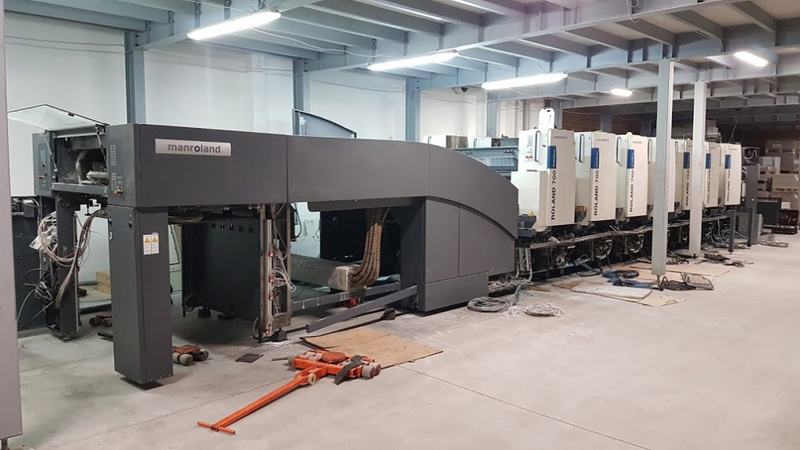 Delivered of 6 colours DD Direct Drive Roland 706, press with coater and extended delivery! 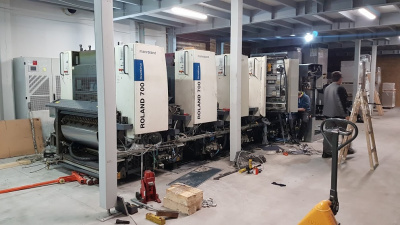 Already months ago, on request a local customer began searching for the newer 6 color printing machine Roland model 700, suitable for printing of the packaging. 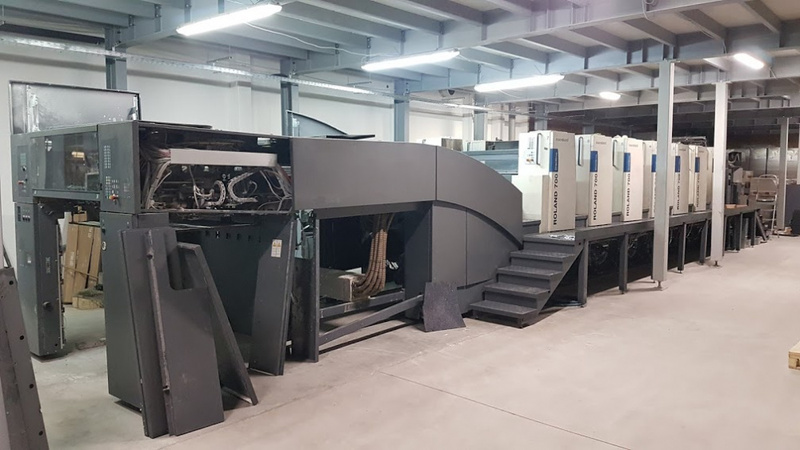 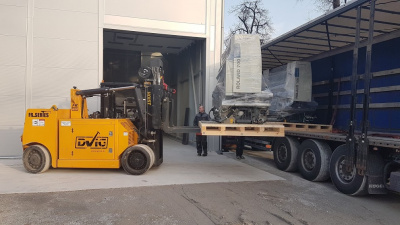 The machine with very low impressions and excellent equipment that dictate quality and quick print preparation, we managed to find, test and reserve it in a smaller specialized Belgian printing house. 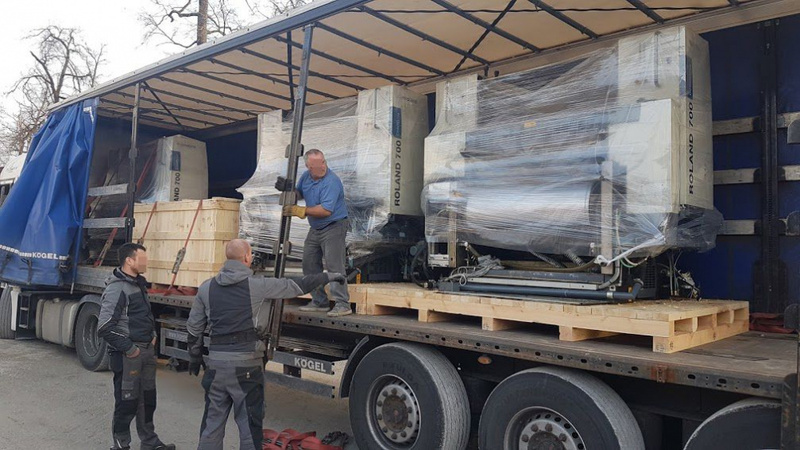 Since the availability of the machine was depended on the delivery of a new machine, we could arrange the supply only a few months later. But it was worth it to wait. After the delivery, the completed installation of the machine and the beginning of use it in production, the customer's words were; guys, you delivered a great machine, we are very satisfied, thank you!